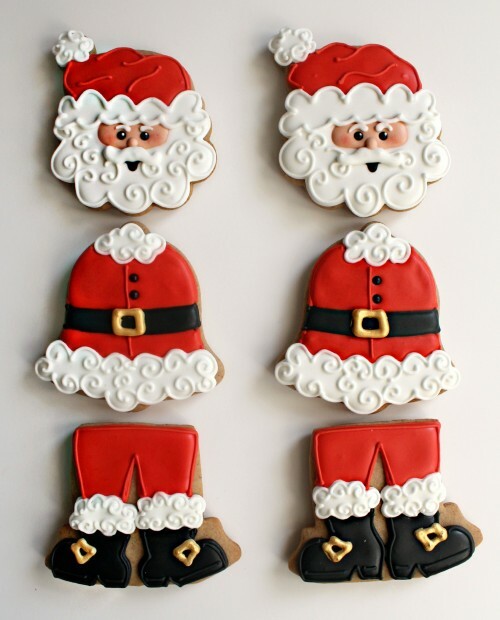 It’s no secret that the holidays are a time for consuming sweets galore! If you’re in the mood to change up your normal recipes, give some of these new sweet treats a go. They’re fun to make with the family or on your own on a snowy or chilly December afternoon. Meringue cookies are light and fun to chomp on. Since most other cookies and holiday treats are so heavy, lighten up your holiday cookie tray with some of these wee trees. 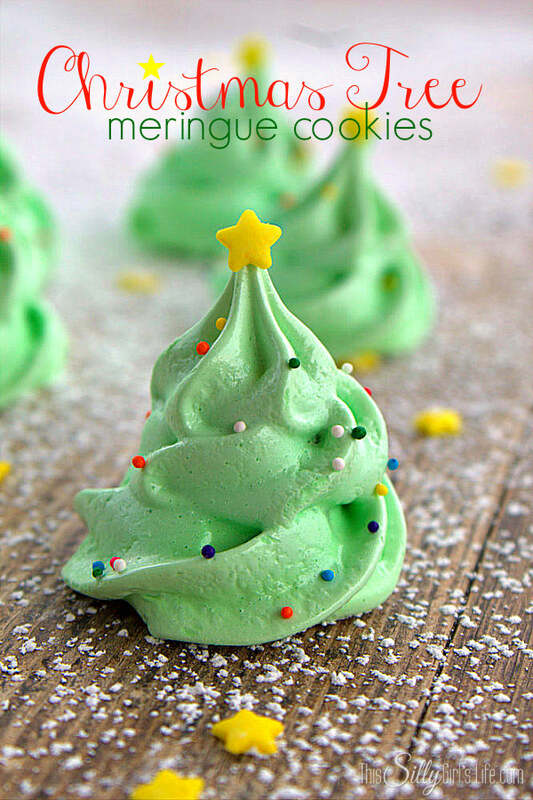 With some food coloring, egg whites, and sugar, you’ll have adorable little edible Christmas trees to marvel at and enjoy. Gingerbread doesn’t have to come in the form of little men. 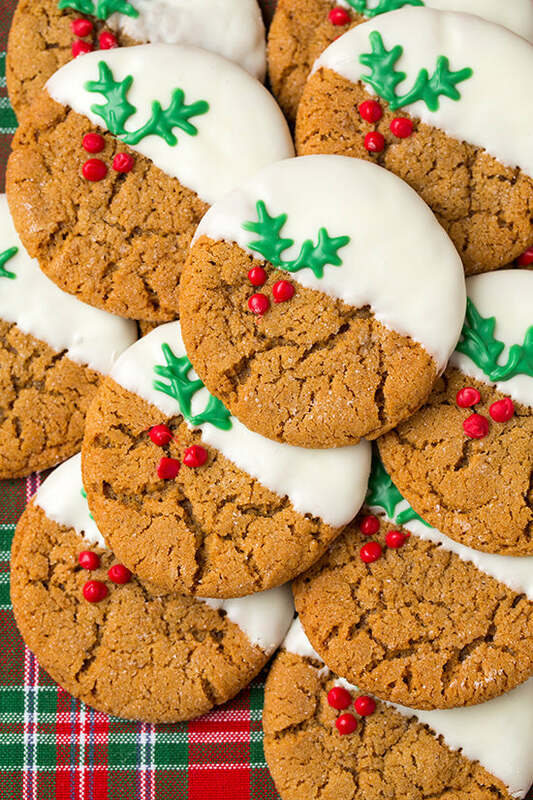 These gingerbread style cookies are little circles dipped in white icing that have their own holiday spirit about them. If you’re making a big batch of gingerbread cookies, try some traditional shapes and then some of these to break up the cookie platter with visual interest and variety. Christmas trees are probably already sparkling inside homes and through windows. Now, try adding some of their jolly spirit to your holiday baking list. 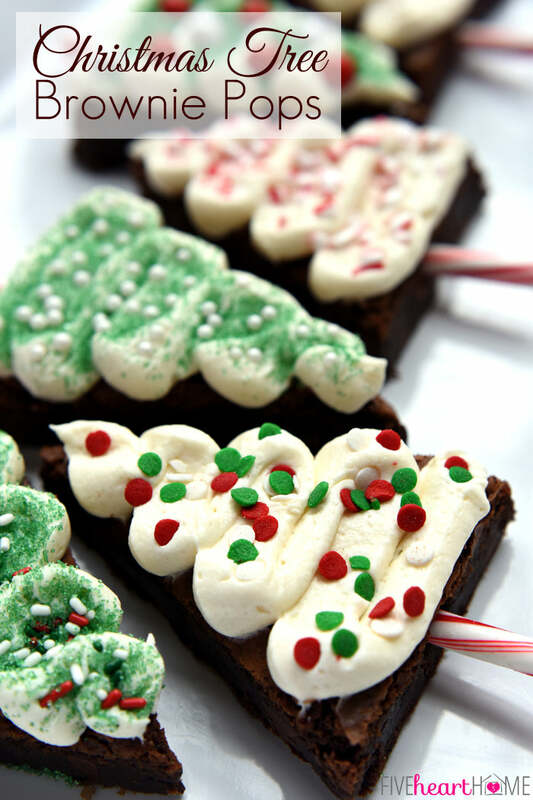 Using a brownie recipe, all you have to do is cut them out with a tree cookie cutter, insert a stick, and ice them with holiday colors before you chow down. You don’t have to be literal to capture the magic of Santa Clause! These star shaped Santas are a testament to that. With their funny little faces, bright icing, and delicious sugar cookie base, these are real crowd pleasers! You can even do a spin-off with reindeer, elves, penguins, and other winter or holiday themed characters. Sub in M&Ms or Sixlets for the noses! 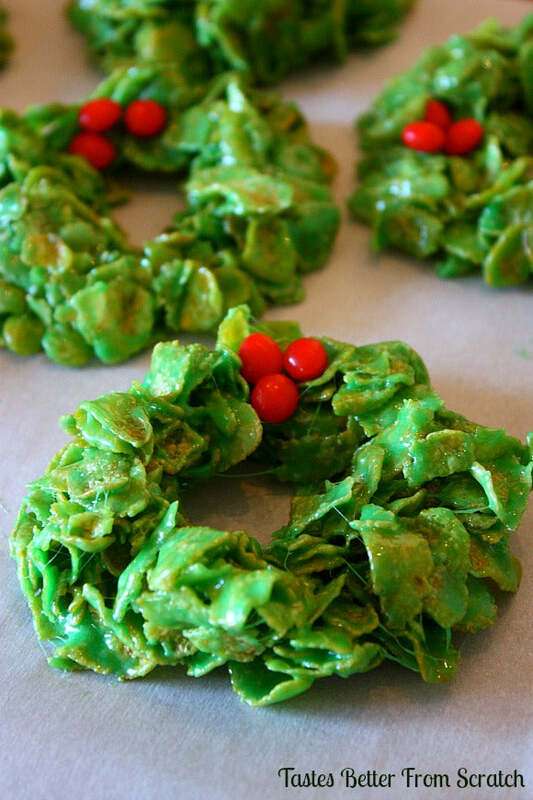 These wreath cookies are a lot like Rice Krispy treats, but they’re made with corn flakes instead. Drizzle on some green icing and dot it with cinnamon candies and you’ll have little edible wreaths to add to your holiday dessert table or wrap up and give to loved ones. If you look closely, you’ll realize that this baker got creative with gingerbread man cookie cutters by flipping them upside down! The great thing about these cookies is that you can get as artsy or plain as you want with the icing too. 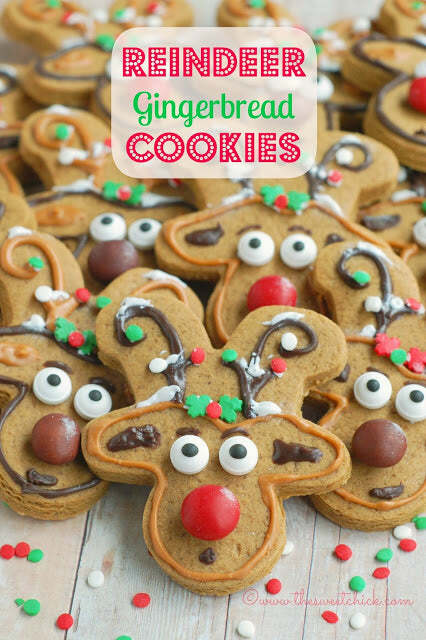 Bake a big batch of gingerbread men and then divvy up half to transform into reindeers for delicious and beautiful variety. 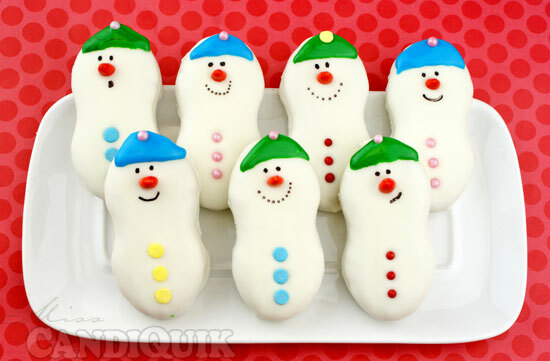 Winter is just beginning, but these snowmen cookies lost a little bit of their form in the oven! 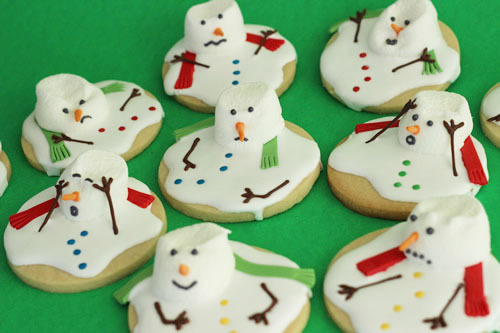 That’s the whole point though and these snowmen cookies are truly adorable. Make whatever cookie you like best, then melt a marshmallow on top and ice it with white frosting. Some decorative frosting can also be used to draw eyes, mouths, scarves, and dismayed expressions! 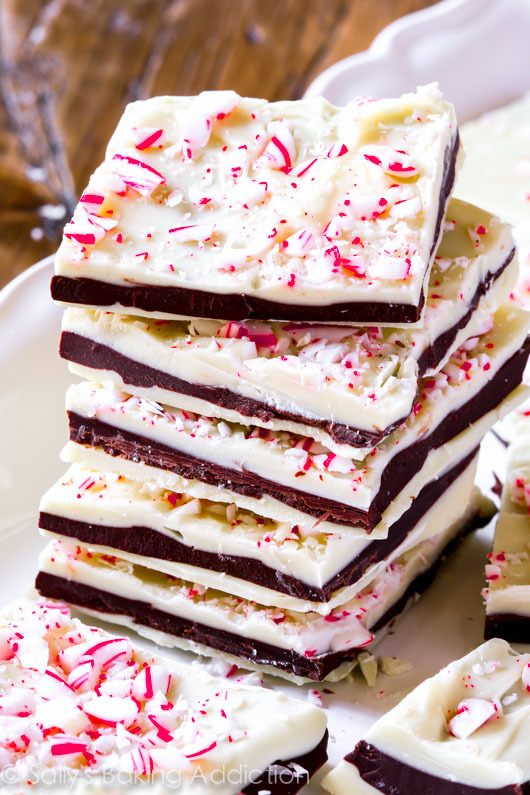 Peppermint bark is so delicious and can be eaten as is, crumbled on top of cookies, ice cream, and cakes, or used as a garnish on hot chocolate. With some smashed up candy canes, peppermint extract, and melted white and dark chocolate, you’ll have a marvelous holiday confection. Don’t leave out the hard little workers at the North Pole this year! 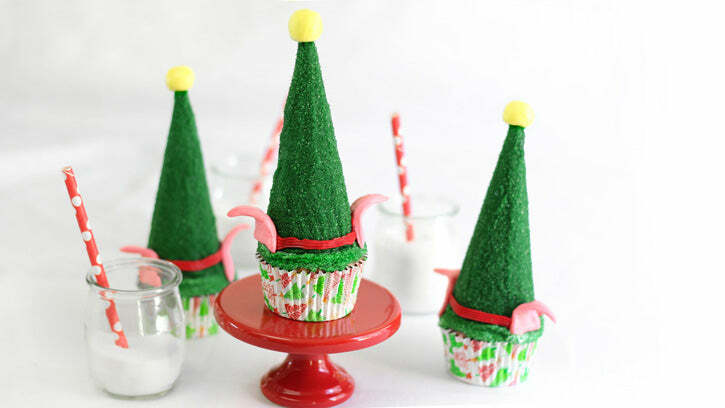 These upside down and decorate ice cream cones make the perfect elf hats. Bake up some cupcakes, get your green food coloring ready, and then sculpt some of these adorable and festive treats. You don’t have to celebrate Christmas to make holiday cookies. 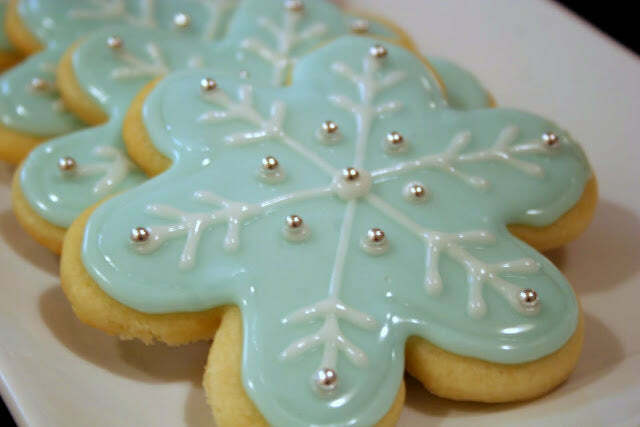 These snowflake cookies are so lovely with their edible, metallic sprinkles and baby blue icing. Break out your snowflake cookie cutters, favorite cookie recipe, and get ready for these snowflake cookies to fall into fame in your household. 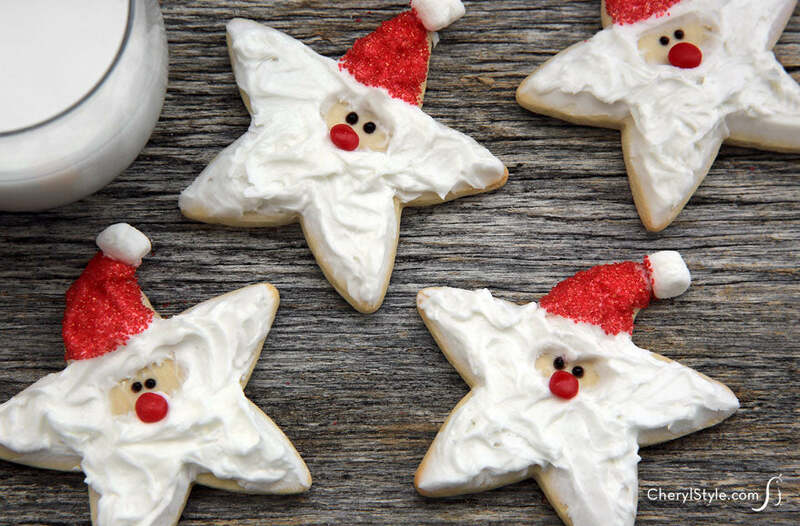 Make a thematic and incredibly yummy holiday treat without slaving away in the kitchen. These snowmen cookies are actually just frosted Nutter Butter cookies! Buy yourself a few packages, gather your kids in the kitchen, and whip up some of the charming sweets. Ba-humbug! Well, we know that’s the wrong movie, but what holiday is complete without the story of The Grinch? 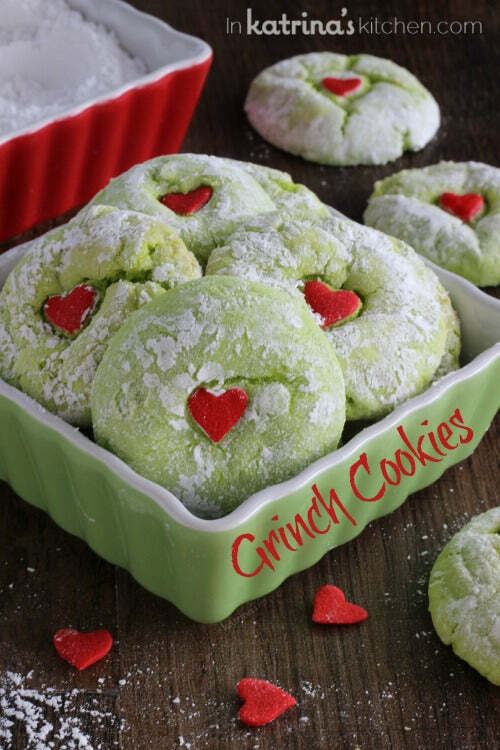 These green Grinch cookies remind every snacker of the moral of the story: that kindness and love prevail at Christmas time and giving is so much better than receiving! Looking for a healthier Christmas dessert this season? You’ve found it! 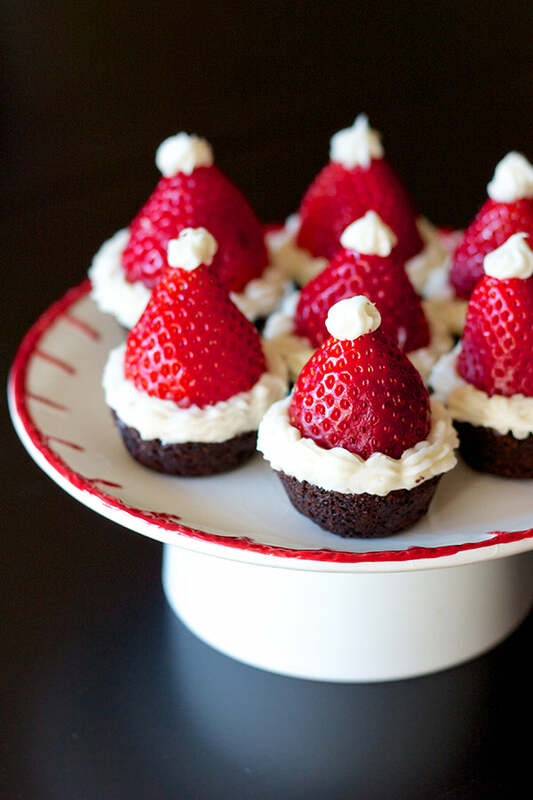 These little Santa hats are light as can be in their miniature form. Use a strawberry, frosting, and a mini cupcake to create these delicious and somewhat healthy little morsels.